Genial transportabler Combo-Amp-Ständer für's Gigbag. Mit weniger als 500g Gewicht für mobile Musiker prädestiniert. Sehr robust durch Kevlarverstärkung. Für Amps bis 50kg geeignet. Nutritious, delicious and killer sound to boot!! Blonde Nubtex covering, Wheat grille cloth, and a Jensen P12Q speaker make this amp an essential part of any player's tone diet! 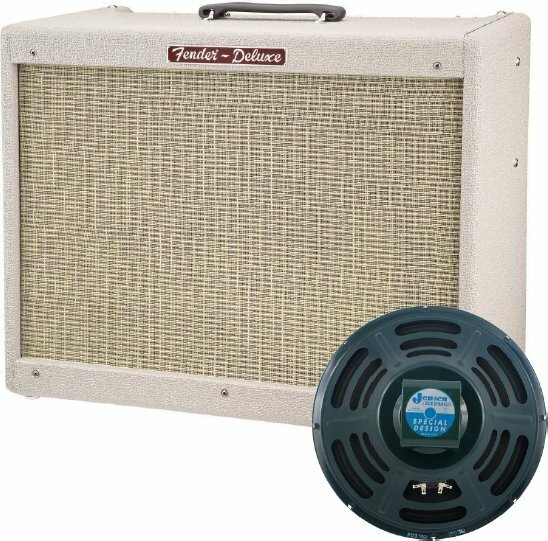 A must-have for gigging guitarists worldwide and the ideal 1x12" amp for crafting your own signature sound. Pro rock, country and blues players guitarists everywhere prize no-frills amps for their great volume, reliability, responsiveness to effects pedals, and affordability, and the 40-watt Blues Deluxe Reissue gives those players the fantastic warm boutique tone. Unique features to this amp include: Blonde Nubtex covering, Wheat grille cloth, and Jensen P12Q speaker. Also includes "Limited Edition" FSR badge. Additional features include: Easy-to-read black control panel with front-reading text, footswitch, graduated volume and treble pot tapers, "tighter" overdrive. - Unique FSR Features: Blonde Nubtex vinyl covering and Wheat grille cloth, Jensen P12Q speaker and a "Limited Edition" FSR badge.